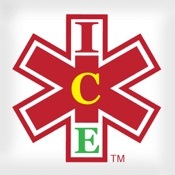 The world’s #1 emergency medical contact information app, which includes the ICE Standard 3 color-coded medical status to provide a baseline for triage and the ICE Standard ER 911 Screen Image for your lock screen wallpaper. Our Applications are 100% Made In The USA. As seen on the Today Show and in the Costco Connections Magazine, New York Times and recommended on the websites of over 14,000 hospitals, medical clinics and medical schools in the United States. ICE Standard ER lets you put your health information and emergency medical contacts on your phone's lock screen wallpaper, so if you are in an accident, EMTs and first responders can find your health information as soon as they turn on your phone. EMTs and first responders can view your 3 color coded medical status by viewing the top of the app or your wallpaper to gain an at-a-glance insight into your well-being. The color auto-populates based on what information you preload into the app or the ICE Standard Personal card. Red color is high risk and tells the EMT to pause and read further. It reflects severe allergies or health conditions. Yellow means medium risk and indicates the user is taking medications. If none of these apply, the user is green, good to go. You can choose to show or hide which personal information is shown on your lock screen to protect your privacy. ICE Standard ER is the only app integrated with the national Smart911™ database. Smart911™ is a free service that provides important information about yourself and your family to 9-1-1 prior to an emergency, so police and dispatchers can see it when you call from a registered phone number. ICE Standard is the only emergency medical contact information application deployed across thousands of cities and universities, and has become the industry standard for storing and retrieving personal medical information critical to emergency care in the event of an accident or a disaster. The new ICE Standard ER With Smart911 Auto Edition upgrade adds comprehensive support in the event you or your family are in an auto accident. Note: the phone is regarded as a backup location for your emergency medical information, as in an accident your phone may be damaged, overlooked or out of power. A physical emergency card is the best way to provide health information for emergency personnel. Dedicated to the victims of the Boston Marathon bombing and the 9-11 World Trade Center New York City terrorist attack. The Men, and Women of “The Greatest Generation”. This app has been recognized on the Rachel Ray Show by Jason Hanson, a former CIA officer. Mr. Hanson has appeared in many TV Shows as a safety expert and also is the author and creator of "Spy Escape and Evasion," a program created to teaching secret survival techniques that can save people in emergency situations. Also seen on Today Show, Costco Connections Magazine and the New York Times, and listed on over 14,000 medical institutions including hospitals, clinics and medical schools Web sites.